Household Insurance Providers in South Africa - Eviction Lawyers South Africa | Le Roux Attorneys Inc.
Having your own home comes with its fair share of responsibilities and of course worries, for most of us buying a house will be the most expensive purchase we make in our lifetime. Home ownership is a long-term investment and protecting your investment will be important to you. As a homeowner, you feel it your duty to take every precaution in order to protect your home, its contents and those who reside on the premises with various security measures. Taking precautionary measures are important and can save you grief and money in the future but it doesn’t mean these measures are full proof and it is always wise to safeguard your home with the help of an insurance provider. Household and contents insurance will give you peace of mind not only in the case of a burglary but also damages that may occur in an attempted break-in or completely unforeseen circumstances. When renting your home out to a tenant it is important to have household insurance since you won’t physically be on the premises all the time. Tenants also do not always have the sense of responsibility for the home similar to that of the owner and through misuse and negligence damages can run into thousands of Rands. Having insurance can safeguard you against many of these damages. Whether you’re getting household insurance for the first time or think its time to reevaluate what you’re currently paying It is important to shop around. Getting a range of comparative quotes will ensure you’re getting the best coverage for the ideal price. If you’re looking for comparative quotes for household insurance these providers below are a few that you should be contacting for a price estimate. 10%cash OUTbonus for 3 claim-free years. This insurance provider caters to South African women only. Due to statistics revealing men are more irresponsible and reckless when it comes to driving and self-care. Women now have been granted the opportunity to pay lower rates for insurance due to this underlying fact. Their home contents insurance policy covers a wide variety of incidents that could occur in your household. From fire, lighting, explosion or earthquake, burst water pipes, or any damage done to you home-intentional or unintentional, including handbag cover and medical expenses should you be injured by your pet or building. Miway offers a home to cover for lightning strikes, fires starting; geysers bursting unexpectedly, those things that get stolen and t broken. Their aim is to make sure you’re covered for both the natural disasters – and the not so natural ones too. Earn rewards and save on joining fees by buying their home insurance online. Managing you claim process online. Cover for your belongings while they’re in transit to or from your home. This insurance provider is all about decreasing the inconvenience that comes with theft and accidents. Budget insurance has been around for over a decade and they have insured thousands of South African homes during that time. Budget offers a range of packages suited to different client needs. With all of these options at your fingertips, your household is begging for you to cover and protect it, the way it does for you. 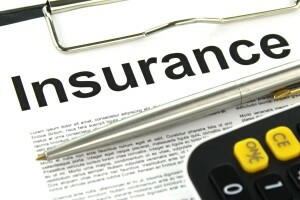 When should you shop around for home insurance? Shopping for home insurance should not be left to the last minute and give yourself some time to research and review your options. We suggest you contact the larger insurance companies to establish a baseline of what the market is offering before you approach smaller firms. We encourage you not to simply purchase insurance from the cheapest provider make sure you have adequate cover in case of a range of possible scenarios and that you’re getting a fair price for those services.